Flynn Stewart, an award-winning screenwriter, seems to have the perfect Hollywood life. Until his dark past comes crashing back when he learns his long-lost sister has passed away—and he has a six-month-old niece named Ruby. Flynn vows to give the little girl who now means everything to him a better childhood than he or his sister ever had. So when he finds out that Ruby's nanny is trying to sell their story to the press, he takes his niece as far from Hollywood as he can. One of seven siblings in Bar Harbor, Cassie Sullivan has always been grateful for the love and support of her tight-knit family. Because of them, she had the courage to create a successful candy confection business. So when a friend of her cousin needs a place to stay with his baby for a few weeks, she’s happy to offer him her cabin in the woods. But from the first moment she meets Flynn and Ruby, her heart is lost to the gorgeous man and his adorable little girl. Flynn has never met anyone as cheerful and open as Cassie. Instantly drawn to her, he finds himself telling her things about his past that he’s never spoken of to anyone—things that make him certain he could never be worthy of her. Only, Cassie isn’t about to let the pair who have stolen her heart go without a fight—using all the light, love, and laughter she can give them. Will the nightmares from Flynn’s past continue to haunt him and and steal away the joy of a future with Cassie? Or will Cassie’s love, and the support of her big family, be powerful enough to help him face his long-buried demons and conquer them at last? 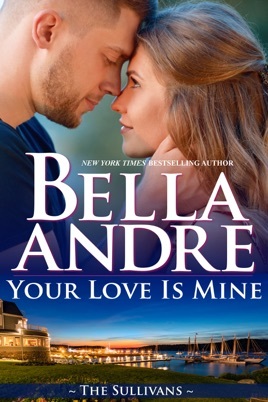 YOUR LOVE IS MINE is part of Bella Andre's New York Times and USA Today #1 bestselling series about The Sullivans. While it can easily be read as a stand-alone story, you'll likely enjoy reading the other books, too. More Maine Sullivans are coming soon! More Maverick Billionaires are coming soon! Bella Andre's New York Times and USA Today bestselling novels have been #1 bestsellers around the world and she has sold more than 8 million books so far! Known for "sensual, empowered stories enveloped in heady romance" (Publishers Weekly), her books have been Cosmopolitan Magazine "Red Hot Reads" twice and have been translated into ten languages. She also writes "sweet" contemporary romances as Lucy Kevin. 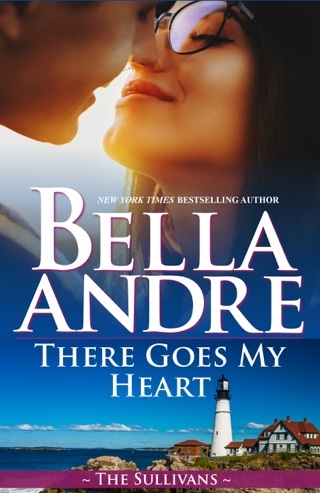 There are more than 50,000 5 star reviews for Bella Andre's books on Goodreads! Hooray for the Maine Sullivans! Cassie is a very sweet Sullivan who makes the most amazing candy creations. When her cousin, Smith, sends screenwriter Flynn Stewart and his newly adopted daughter to stay in her cabin, he has no idea just what he sets in motion. These two have chemistry for days! And Cassie falls in love with little Ruby on sight. But Flynn has secrets he’s been keeping that make him feel unworthy of Cassie. A wonderful introduction to the Maine contingent of the Sullivan clan. I have loved every one of the Sullivan stories so far, and I was so excited for Flynn and Cassie’s story. Although this is book 19 in the series, it’s the fourth spin-off, which revolves around the Maine Sullivan’s. Flynn, an award winning Hollywood screenwriter, becomes the guardian of Ruby, his infant niece and must escape in order to gain privacy for the both of them. Cassie, a candy shop owner, agrees to let Flynn and Ruby stay in her cabin, and the moment she sees him, their attraction sizzles. I don’t know what it was, but something about this story fell a little flat for me. Don’t get me wrong, I thoroughly enjoyed the book, it just didn’t wow me like the others did. I’m definitely looking forward to the next one. Another heartfelt and endearing love story that read in one day. It doesn’t have as much passion as some of the other Sullivan’s but still a connection that could not be ignored.